The Intel� Server Chassis SC5300 comes in 3 SKUs, the base, the base redundant power & the LX versions. Below is a table which contains the product code, mm# and a short description of the SKU. SC5300BASE 857678 Base chassis with 600 Watt PFC Fixed Power Supply, 2 chassis fans, supports 6 tool-free cabled drives, 1 power supply FAN. SC5300BASENA 857702 Base chassis with 600 Watt PFC Fixed Power Supply, 2 chassis fans, supports 6 tool-free cabled drives, 1 power supply FAN, North American power cord. SC5300BRP 862502 Base redundant power with 730 watt PFC redundant power supply unit, (2nd power supply is required for redundancy), 2 chassis fans, 1 power supply unit FAN per module, supports 6 tool-free cabled drives. SC5300LX 857677 LX chassis with 730 watt PFC redundant power supply unit, (2nd power supply is required for redundancy), 4 hot-swap redundant chassis fans, 1 power supply unit FAN per module, supports 6 tool-free cabled drives. 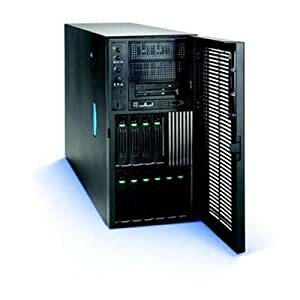 SC5300LXNA 857703 LX chassis with 730 watt PFC redundant power supply unit, (2nd power supply is required for redundancy), 4 hot-swap redundant chassis fans, 1 power supply unit FAN per module, supports 6 tool-free cabled drives, North American power cord..